This is a set of two AKA Racing "HEXlite" 2.2 12mm Hex Front Wheels, and are intended for use with Associated and Kyosho 2wd buggies that use a 12mm hex front wheel. How do you reinvent the wheel? Make it lighter and more durable! 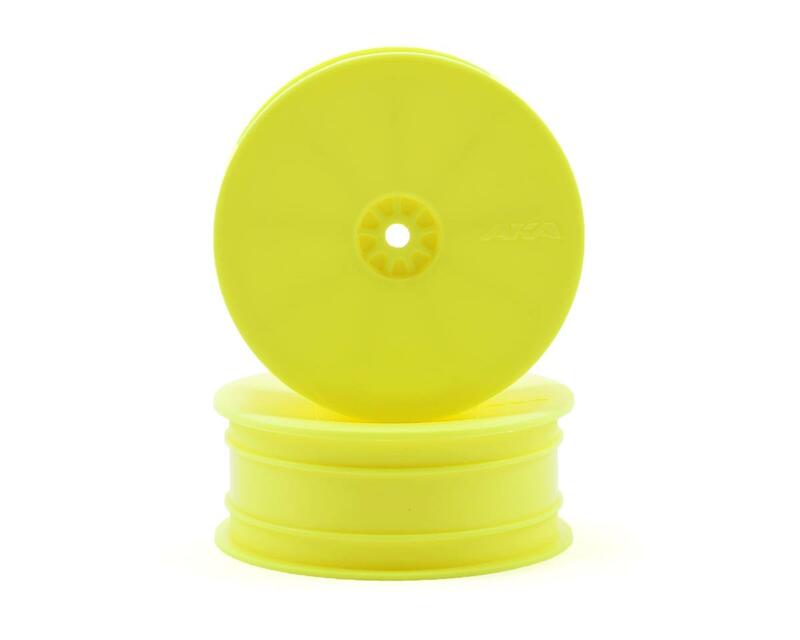 AKA HEXlite 1/10 buggy wheels were designed with two things in mind, weight and durability. Both were achieved through superior engineering and use of AKA's proprietary high-impact nylon. This combination makes them one of the lightest hex wheels on the market. Plus, HEXlite wheels spin true and balanced thanks to the "made in the U.S.A" quality craftsmanship. Also, a revolutionary feature to the 1/10 market is the optional wheel stiffener insert (Not Included). It has been designed to stiffen the already stiff wheel, as well as help prevent dirt from building up inside the wheel, which will cause the wheel to go out of balance. 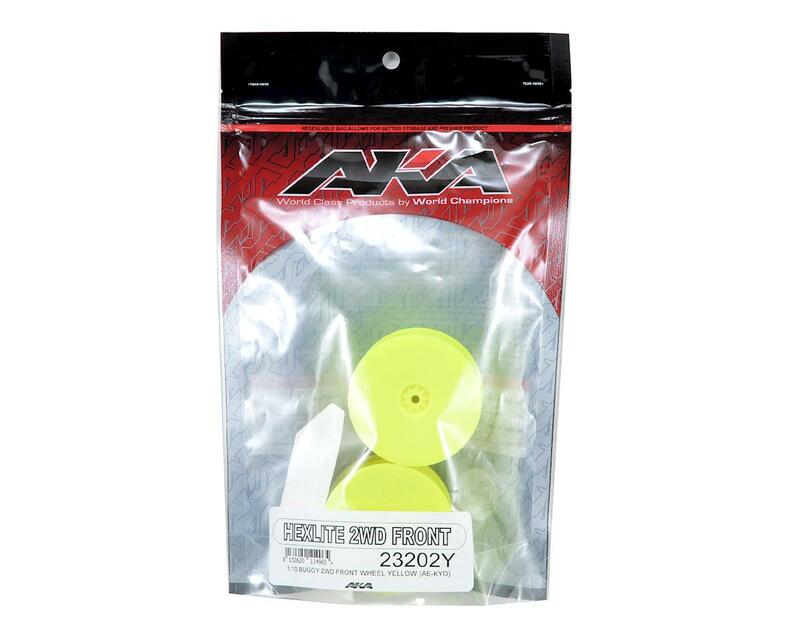 I've run AKA wheels on my buggies, trucks, and 1/8th and generally felt they were a good wheel. HOWEVER, as of late, I've changed my mind about their front wheels for the B4.2. First, their holes ARE NOT BIG ENOUGH for the spindles and must be drilled out. This has taken me a long time for each wheel, carefully stepping up one drill size at a time to make sure I don't blow the hole and make it off-center. Second, and even worse, these wheels are THIN! And, for those of us using the JConcepts axles, these rims are useless because the locknut will bottom out on the axle shoulder before it clamps down on the wheel! Third, and worse yet, the hex on these wheels is VERY SHALLOW and is over-sized by at least .5mm which causes the B4.2 hex to strip out of the wheel's hex and spin when you try to tighten the wheel nut. Part of this problem is caused by the above axle situation whereas the wheel nut bottoms out and forces the axle to spin without tightening on the wheel. The AKA customer service is great, as far as replacements...but that's not going to do me any good until they change their specs.